This album is an amazing piece of creative work that draws you quickly from a busy mindset into the calmness of your heart. 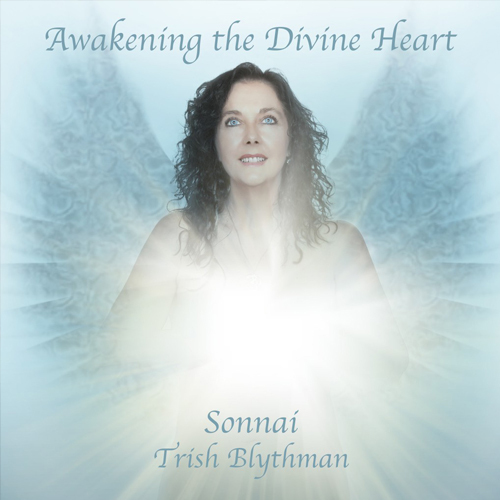 Trish’s angelic mystical voice touches the very essence of your heart and soul, taking you on a spiritual journey into self awareness. This ambient music works beautifully in conjunction with meditation, relaxation, inner personal growth work and is a soothing sound for background music in your business waiting room or practice. As each track unfolded Trish would channel the sound and sacred languages, be guided to a title of the song, as well as the meaning behind the song and what it represented to the listener. She also had a feeling that each track could individually be utilised for the purpose of deeper reflection and meditation. Hence why Trish decided to leave a longer pause between each song on the album to go into silence, take a couple of breaths and allow the vibrational frequencies of the sound to merge with our cellular body. Allow the Divine sounds on this album take you on your own journey into self realisation. These are suggested meditational practices that Trish feels would integrate the vibrational essence of each song for a deeper reflection. Discover your own interpretation of what these songs represent for you. Merge with the Sounds of Love. 1. Divine Heart – This song opens your heart centre to allow the light of purity and innocence to shine through us. Being the first song Trish ever recorded or mixed, it intuitively gave meaning to this album’s true message. Meditational Practices: Connecting & awakening your divine heart centre. 2. Sacred Initiation – Allow yourself to be taken deep within for initiation into self mastery – ‘I Am Me, I Am’ The Divine Masters assist with awakening the memory of your soul’s purpose. Meditation Practices: Ceremony, Initiation, attaining Divine knowledge & messages, purpose and service, self mastery. 3. Blessed Child – A Divine message from the Creator calling us to join again as one with Universal Source energy. Within this song are messages of freedom and love. As each storm passes, we are brought back to inner stillness and clarity, reassured that we are loved and not alone. Meditation Practices: To feel connected to your divine self and be reassured that we are loved and not alone. Ideal for creating balance, centeredness and moving through chaos into inner presence. 4. Namaste – Affirmations of Love and prayer for ourselves and the world. Creating an uplifting and mindful presence. Meditation Practices: Affirming positive words to uplift your spirit. 5. Quan Yin’s Rapture – Channelled messages through Quan Yin – Goddess of Compassion, giving us vibrational words of joy and encouragement for our earthly journey. Choose love not fear. Meditation Practices: Assists in finding joy in your life, compassion and encouragement to keep moving forward. 6. Rite Of Passage – The Angels are sharing their beautiful harmonic song that accompanies us when our soul journey in the physical body is completed and we are lifted back into the Divine realms. Our physical heartbeat taking us from this reality into the next dimension. Let go and be free. Meditation Practices: We have many rites of passage that repeat throughout our life – Birth, Entry, Initiation, Mergence, Demonstration, Attainment and Death or Release. This is a wonderful song for letting go, trusting in the flow of life, the death process and release. 7. Beloved Serenade – A beautiful song of unconditional love from a beloved partner who has passed over, reassuring us that there is truly no separation. Serenading us into a peaceful sleep. Meditation Practices: Knowing that we are all one, to assist with grief and feeling connection with your loved ones who have passed over, especially a partner. 8. Michael’s Sonata – This is a love song that celebrates becoming one with a soul partner. A symphonic piece channelled through Michael. A truly inspiring, beautiful and loving composition from Michael, Divinely guided through Trish who had never played the keyboard before. Meditation Practices: Finding love, calling in your twin soul or soul partner, balancing of the Divine Masculine and Divine Feminine aspects of self. Becoming One again.